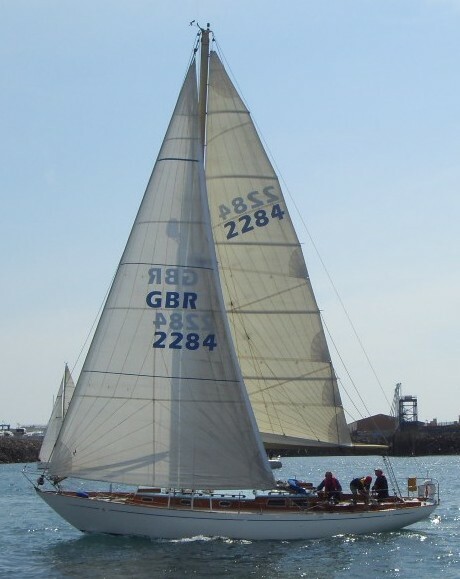 Kalina was designed for the late Clem Challinor, a past Commodore of St Helier Yacht Club in Jersey, and has remained in Family ownership to the present day, now owned by his Son Rodney, also a past Commodore of the Club. In a way, the friendship forged between the Buchanans and the Challinors, resulting from Alan’s work on Kalina and her Saxon Class predecessor Saecwen, brought Alan and his family to Jersey to make their home. There are a number of his boats in the Channel Islands, some having been built in Guernsey – Chanterelle, Min-Tha-Me and the range of Channel Island motor boats being some examples. Ed Dubois, who designed some local boats such as Borsalino Trois, the Mischiefs and Starflashes and many racing and cruising yachts from small racers and the current Clippers to superyachts, served his postgraduate time working for Alan in Jersey. Kalina’s vital statistics are quite different to those of a modern racer. 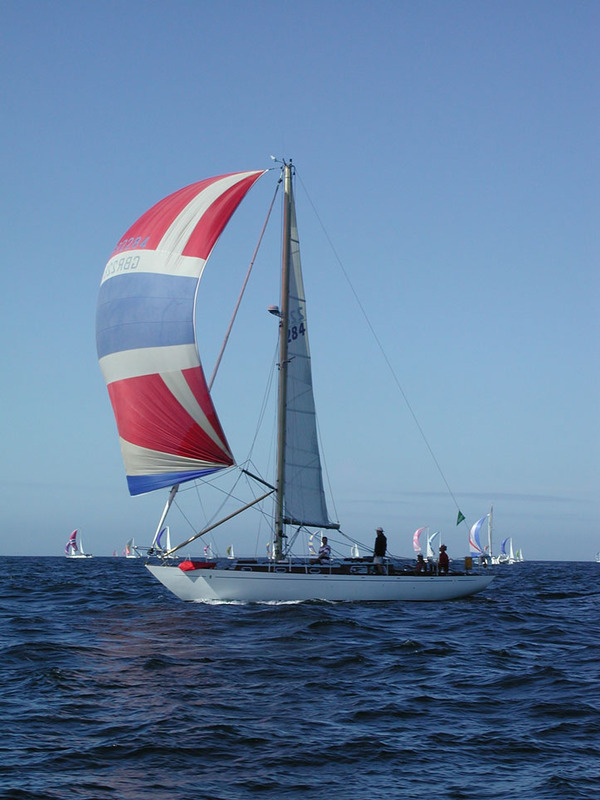 Although she is 40 ft overall length, she is quite narrow at 10’6”, has moderate draft at 6’ and a short waterline length at 28’4” which increases dramatically when she heels or gets up to a decent speed. 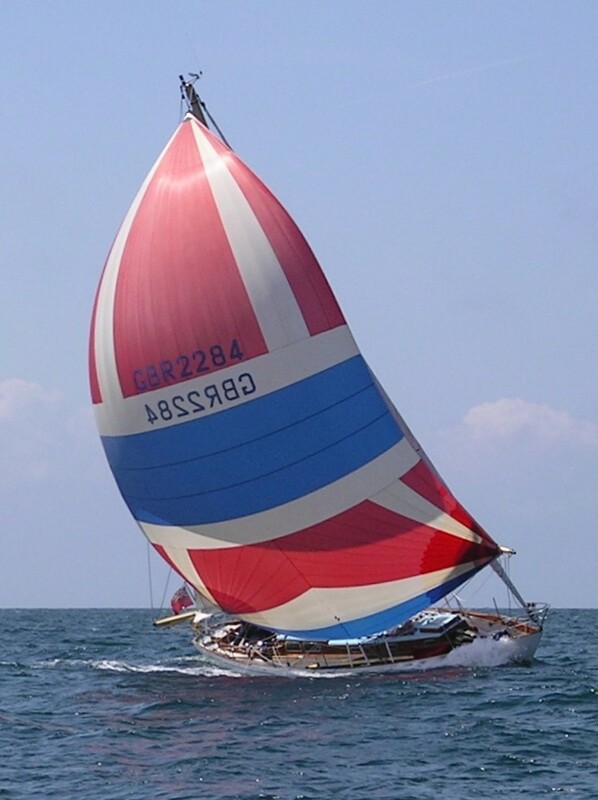 Her mast height is quite short at about 42 ft, although her masthead 150% overlapping genoa and large spinnaker provide plenty of power in the right conditions. Of course, her keel is entirely different to that of a modern boat – she was built from the keel up, her hull being integral to the structure. Down below she is quite minimal although well fitted out by Priors’ craftsmen – no fridge, hot or pressure water and a small galley, but her seven comfortable berths can all be used safely at sea. She is immensely strong, and can take all that is thrown at her. Many may think of her as a graceful old lady cruiser, but she was built to race – her plans show her as a “40’ Ocean Racer” - and was designed for the RORC rating rule and modified for IOR. She was quite a handful in her first year, with tiller steering, which was solved by a change in rudder profile and wheel steering. 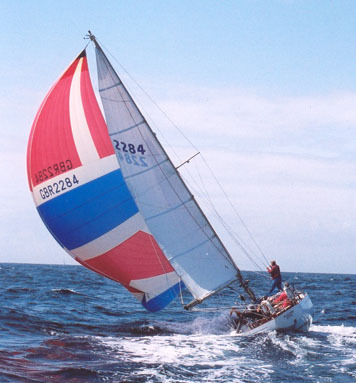 She raced hard in the sixties and seventies, except for a one year sabbatical for a total rebuild by Priors in 1971 following her sinking after a skipperless trip to Les Dirouilles reef smashed most of her hull, and retired into cruising in the mid seventies. She started racing again in the early 1990’s, mostly under CHS/IRC handicap, and she has become one of the Island’s most successful boats. I won’t dwell on the various thoughts on why this is so, but will admit to a combination of her thoroughbred background, handicap, style of courses in which she participates and up-to-date rig and sails. Whatever the reason, her “parents” are proud of her, and look forward to many more years of enjoyable boating with her.